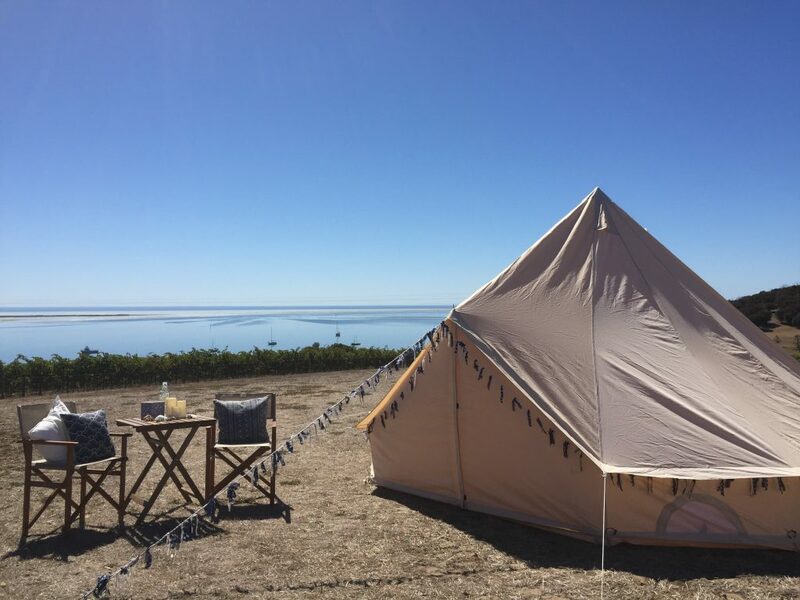 Bay of Shoals vineyard, winery and cellar door offer spectacular views, proximity to Kangaroo Island airport, hamper lunches, cellar door tastings and wine sales – all just five minutes out of Kingscote. 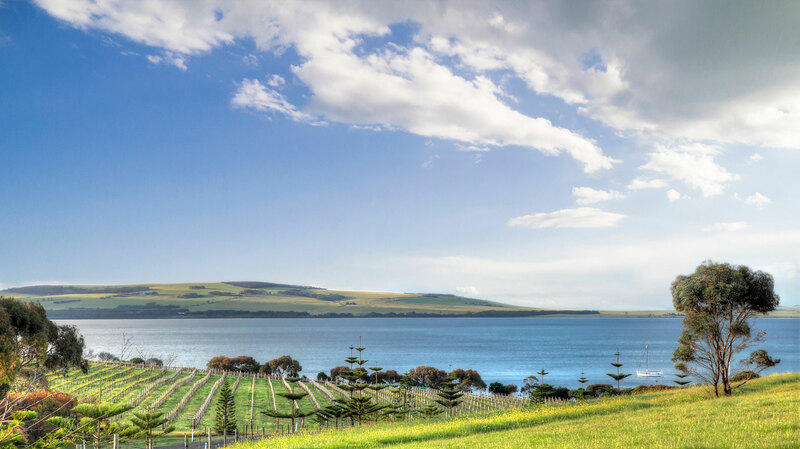 We overlook the Bay of Shoals and Reeves Point, the site of the first settlement in South Australia, and our cellar door is open from 11am to 5pm daily. 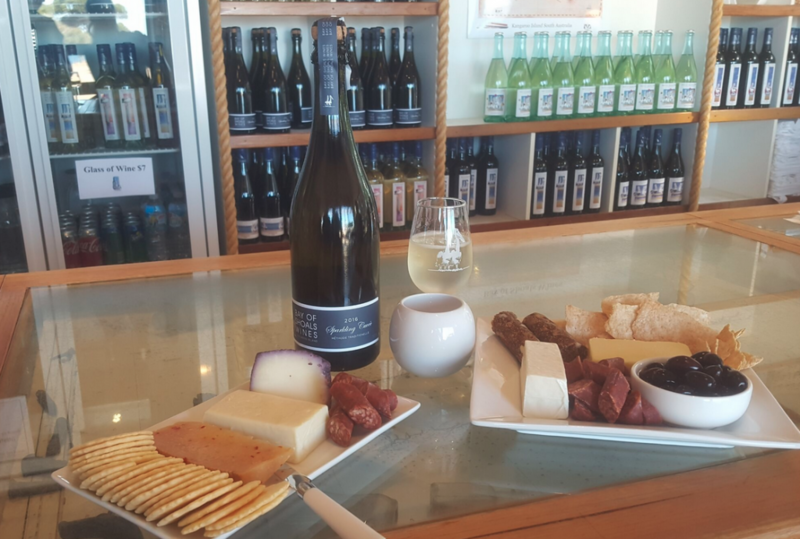 If you are visiting Kangaroo Island we invite you to come in for a memorable tasting experience. We offer wines that are sophisticated, yet approachable, and make a range of varietals to suit any occasion. Also, on offer are local produce hampers and wine-by-the-glass sales from our cellar door. There is ample seating in our garden overlooking the vineyards and the Bay. Our cellar door is conveniently located near Kingscote. We are open daily from 11am to 5pm (except Good Friday and Christmas Day). We look forward to welcoming you soon. Enjoy our wines at home. 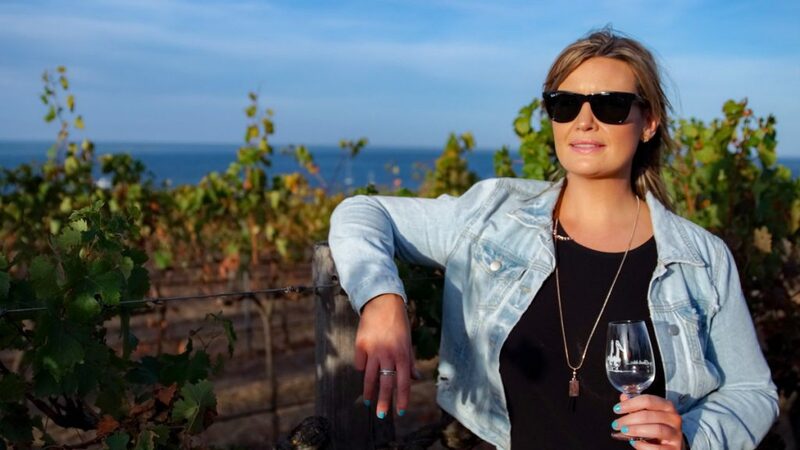 When you spend $250 on wine with us you will be eligible to join our Bay Club. As a member you will receive benefits including exclusive specials, bonus offers, freight discounts and much more. 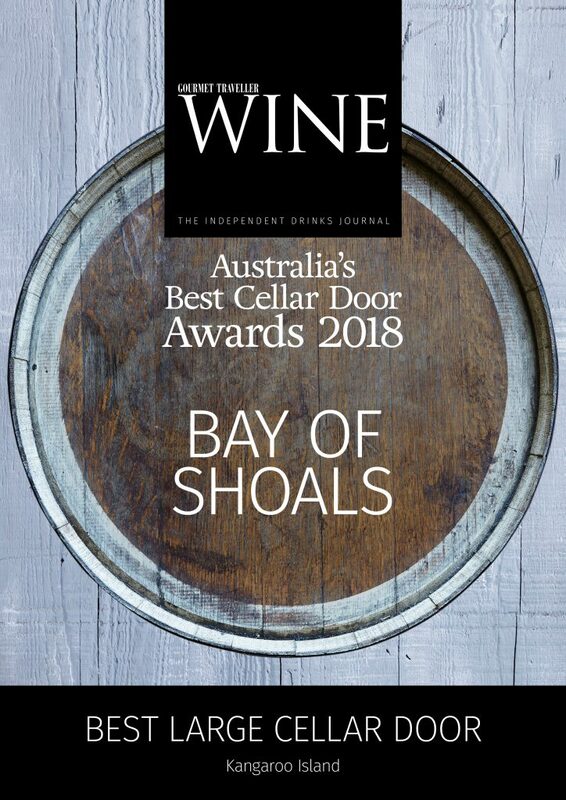 For the second year in a row Bay of Shoals has been awarded the Best Large Cellar Door on Kangaroo Island!